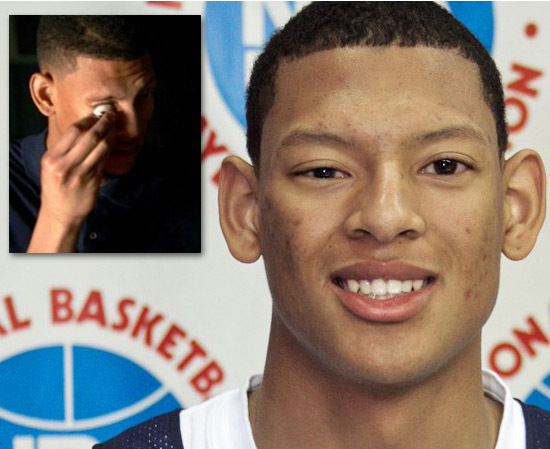 The 7’1″ Isaiah Austin was suppose to be a Lottery NBA Draft pick in the 2014 draft. Until he found out a day before he had a medical condition that would end his career immediately. A day before the draft he found himself in Hall Of Famer Deion Sander’s house listening to Sander’s advice saying,”To keep positive and stay focused. That basketball is never who you were. It’s just what you did.” Deion was just one of the hundreds of celebs and athletes to reach out to Austin. On Sunday he learned the news he has Marfan syndrome, a generic condition that weakens the body’s connective tissue. Meaning any kind of direct physical contact to the chest area can result in death. This young man showed the true definition of what is confidence tonight on draft day.If you want to know how to be the best in something in your life, we all can learn a lesson in the way this young man handled himself tonight during an interview on ESPN. The NBA commissioner Adam Silver still insisted on inviting Austin to Thursday’s NBA draft so he could still fulfill his life long dream of being drafted and introduced on stage. The NBA granted that wish and mdd his dream come true. While millions seen this young man stroll up to the stage wiping his tears away he showed us all how to be the best. What is confidence? 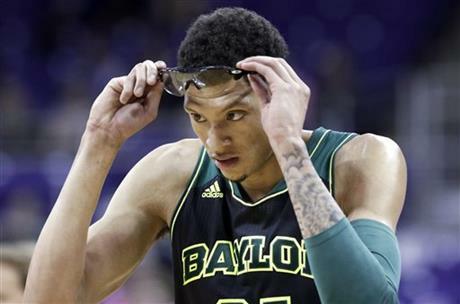 Isaiah Austin is the definition of confidence. Talking about dealing with adversity in your life, a torn retina and now his dream is snatched away from him. During the NBA Draft interview he stated,”When God closes one door he opens up another!” What is confidence? He stood in front of millions watching and said,”I will take the positive out of my situation and spread my story around the would hoping I can teach people no matter what you may be going through in life there is always a way out!” This is how to be the best.